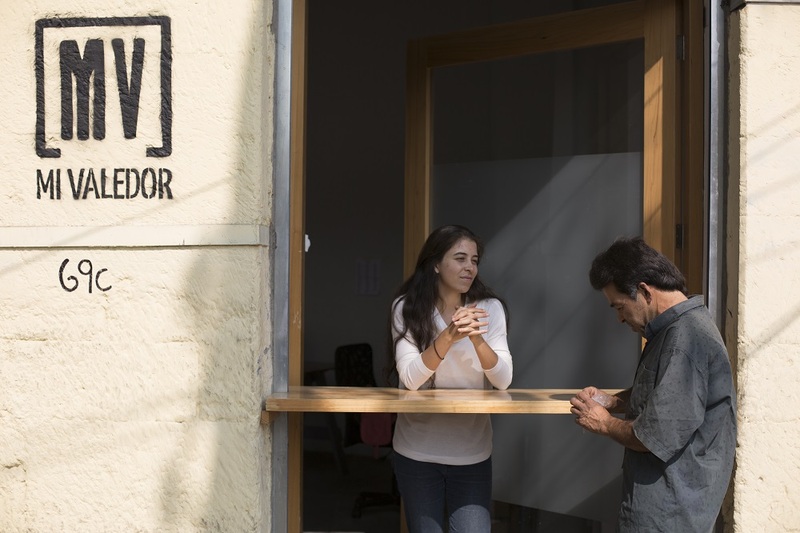 A year after Mi Valedor became Mexico’s first ever street paper, Swiss paper Surprise sent journalist Ana Felker to meet with vendors and staff at the fledgling social enterprise. She learned about their ongoing battle to provide opportunities in a country where nearly half the population (approximately 53.5 million people) live in poverty. When I met Salomón Martínez Torres, he was holding a family-size bottle of Pantene shampoo. He carried it on his long walks through Mexico City because he is not allowed to store anything in the shelter where he stays. He had to be out at 7am without leaving a trace. Salomón has covered the entire city. Wearing his beige moccasins, the 50-year-old has followed the same pavements and paths over and over. The street is his home; his backpack his bedroom. His skin is brown, he’s very thin, and when he smiles there is a space where his upper incisors should be. He called me lady, miss, graduate, employee; words which for him showed recognition. Salomón also carried a journal in which he wrote down his thoughts, symptoms and complaints with visible care in each stroke. I assessed his writing, thinking of how mine had deteriorated from too much use and writing too quickly. Salomón was concerned about his appearance. In order to deal with other people, he says he puts on a thousand masks to escape from himself. Recurring, obsessive thoughts trouble him, such as not having a place to put his jacket when it’s hot. I went with him to the government office to get the permit, with a photo in it, that he needs in order to sell in the street. Until that moment he had never owned any form of identification. They would give him the permit several days later, and the wait made him nervous. He touched his face constantly. He talked about an illness that made it difficult for him to look presentable, clean-shaven and alert, even though he had tried. A document would make it easier for him to approach others; it would be a proof of his existence and would legitimise his sometimes weak intention to survive. I tried to understand his fragmented history. We walked so close together we kept bumping into each other. We sidestepped a man lying on the sidewalk. He seemed to inhabit a small cement island, shipwrecked from the mass of humanity. Using plastic, cardboard, magazines and blankets, thousands sleep like this every night across the city. 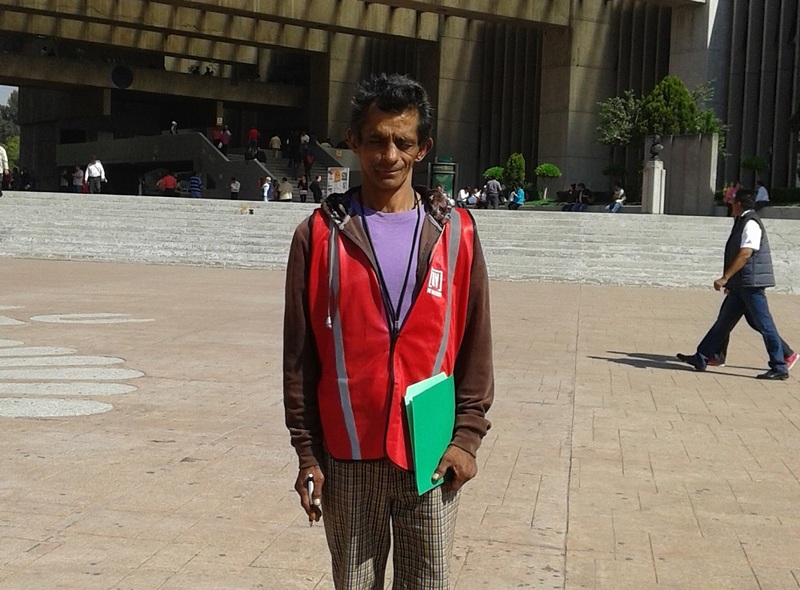 Salomón tells me that a few months ago he also used to let himself fall to the sidewalk from exhaustion and drink. Originally from Tepito, one of the rougher areas of the city, Salomón started out as a businessman. Like his father, he sold Tiempo brand audio cassettes. On a date he can’t remember now, something went wrong. He spent 20 years in jail for a financial debt, and was released three years ago. Salomón doesn’t remember the last time he spoke with his family, but he remembers their phone numbers. He asks me to write them down in case anything happens to him. “A poor person has no one,” he said. 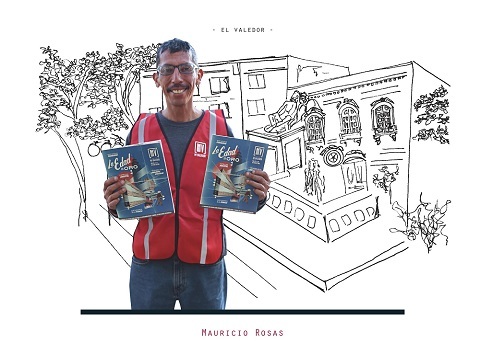 Stories like Salomón’s are everywhere. Some are islands who fight to stay above water; others are archipelagos; they group together for warmth on stormy nights. Still, there are some who submerge little by little into complete invisibility. There are few studies that reveal the complexity of the situation here. 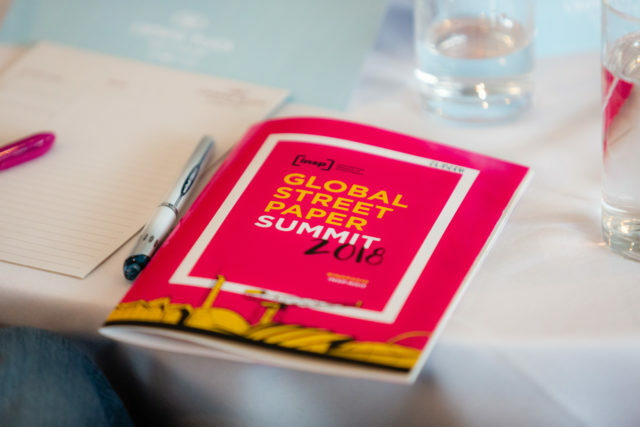 According to the recent figures an estimated 15,000 – 30,000 people live on the streets of Mexico City, out of a population of almost nine million. In just one shelter, the largest in the city, 500 people take refuge each night. 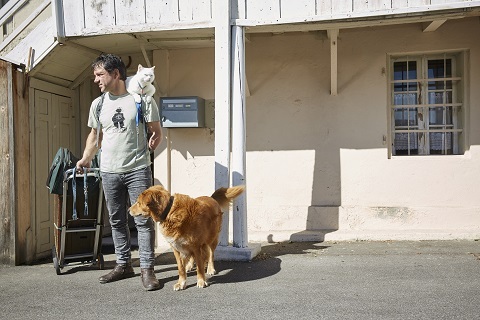 Salomón arrives at this same shelter after a long day of walking. He lines up in the central patio to get to the kitchen. These days there is a statue of the Virgin Mary surrounded by Christmas lights. After talking with some acquaintances, he goes to the room he shares with 19 other men and lies down on his cot. 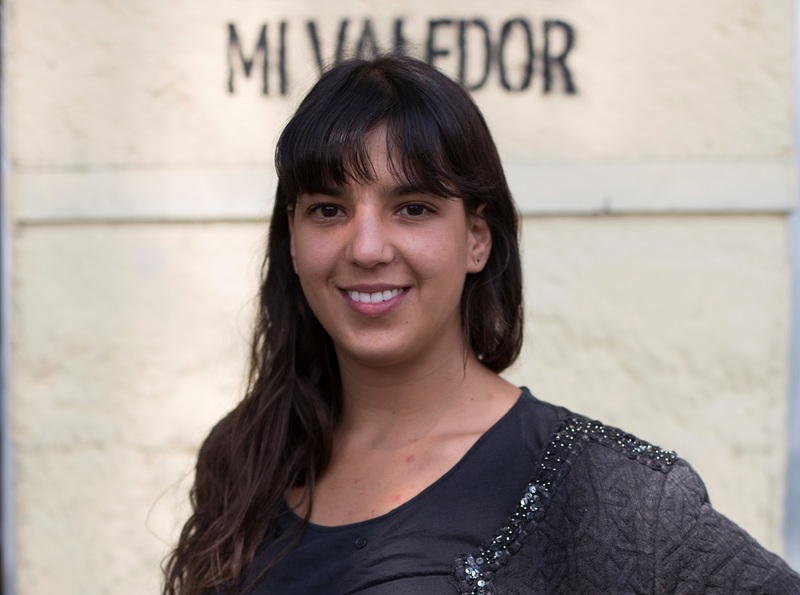 María Portilla is the co-founder of Mexico’s only street paper, Mi Valedor [meaning My Defender or My Pal]. 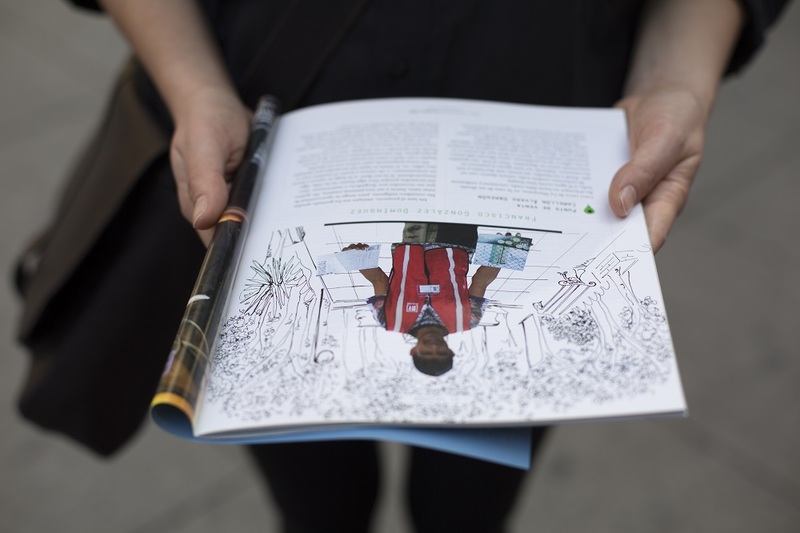 Maria first came across the street paper concept when she bought a copy of The Big Issue while she was studying art in England. 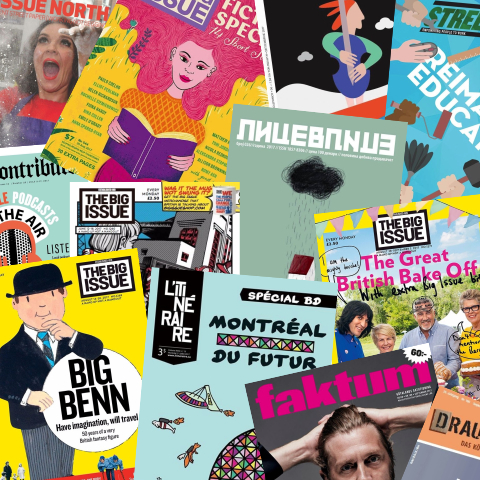 The Big Issue is an independent, weekly publication sold by 2,000 unemployed or homeless vendors across the UK. As a Mexican, María was moved to see this type of self-employment. She thought that this should be done in her country where 53.5 million people live in poverty – nearly half of the population. Of these, 11.5 million live in extreme poverty, meaning they don’t even have the basic necessities for survival. 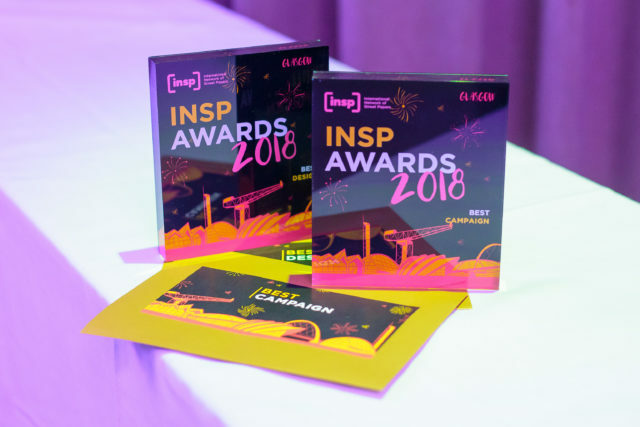 She learned more about the logistics of running this unique kind of publication by working with INSP, a charity based in Glasgow that supports more than 100 street papers around the world, including The Big Issue and now, Mi Valedor. 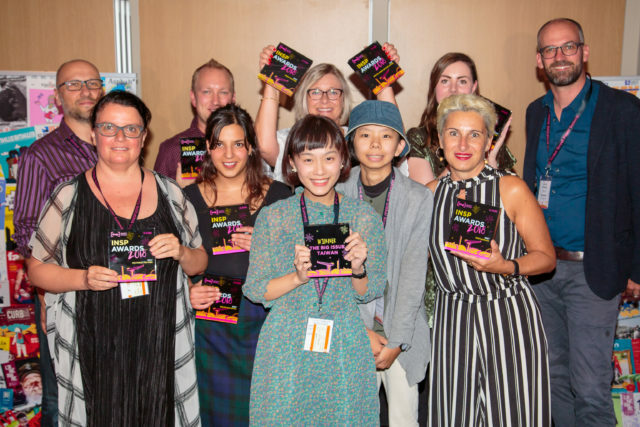 While in Scotland, Maria studied the basics of how a social enterprise functions, a model that barely exists in Mexico. Its premise is not to ask for charity but to offer alternatives for an independent life, following the motto: “we help them to help themselves”. 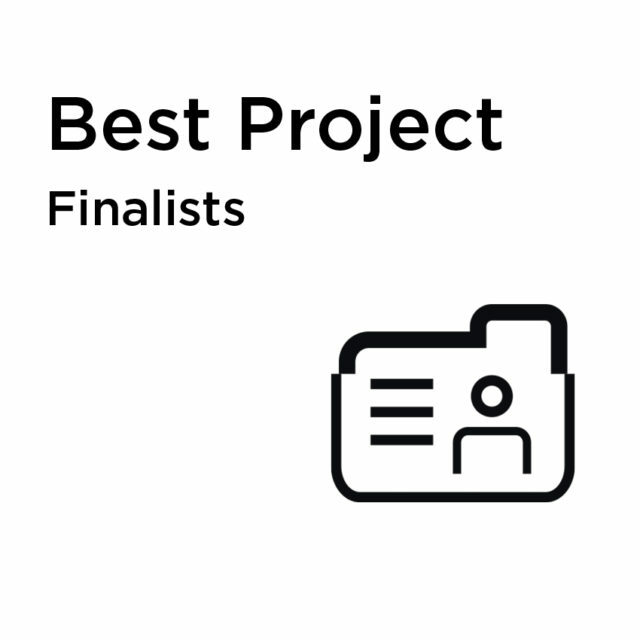 After returning to Mexico, she worked with Regina, Delphine, Ana, Paula, Mariana, and Elena to investigate the possibility of starting a similar publication in Mexico City. It was a huge challenge due to the sheer scale of poverty, the classism which prevails in Mexican society, and the lack of concrete information about the homeless population. In 2013, the Mexican government and UNICEF conducted a count which determined that more than 20 million children and adolescents in Mexico lived in poverty – with more than five million living in extreme poverty. The report also stated that 15,000 children under the age of 18 lived on the streets of Mexico City, with many resorting to selling gum, cleaning car windshields and begging to survive. While there are no exact figures for the number of men, women and children who are homeless in Mexico, men appear to make up the majority. Culturally, men are considered to have the physical and mental strength to leave the home. Under this logic it is understood that in a third of Mexican families, the father figure is absent, either because he left in search of better conditions or just because he “went out for cigarettes”. 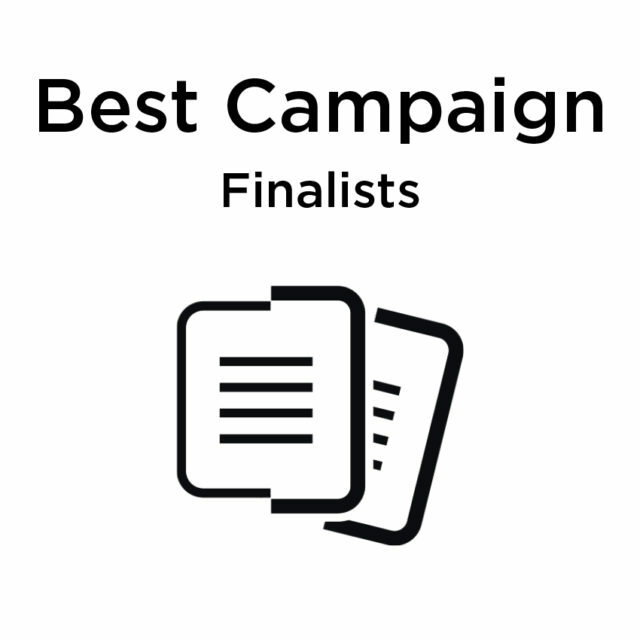 The Mi Valedor team addressed this issue by collaborating with Street Soccer Mexico A.C., which sends a team every year to street soccer tournament the Homeless World Cup. 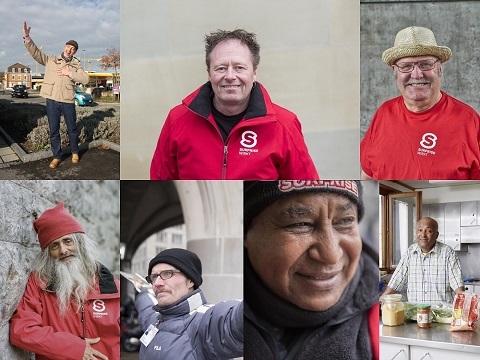 The competition has all of the trappings of the professional sport and brings together thousands of homeless people from 74 countries around the world every year. The next step in the process was undertaking volunteer work in the addiction support center at the Plaza de la Soledad [Plaza of Solitude] in la Merced – an area of the city where poverty and prostitution are rife. It has also been the main commercial center of the city since the 14th century. In the la Merced market you can buy cheap merchandise at wholesale prices; this is where people buy gum or other types of products to sell on the street for a minimal income. The Plaza de la Soledad welcomes you with an arch that says ‘Doorway to life’. Beyond that is the deserted esplanade. Then the church with its doors firmly closed. The surrounding streets are pot marked with holes, and littered with abandoned machinery, while trash is scattered everywhere and heaped in large piles. It even desecrates an altar carved into the rock. Several men lie unconscious on the ground, others chat among themselves in open areas or on benches. Melancholy music plays from the buses. The cheapest bus routes to the southeast leave from here. Chiapas is located in this area of the country, and has a poverty rate of 76.2%. It is a primarily indigenous state. From here and other parts of the area, thousands migrate to the capital, to live in the Federal District in precarious situations. When they can’t find work, far from their families, they end up on the street or in the shelters. Many stay in this same Plaza de la Soledad. It is an access point that rises up like an impenetrable wall. 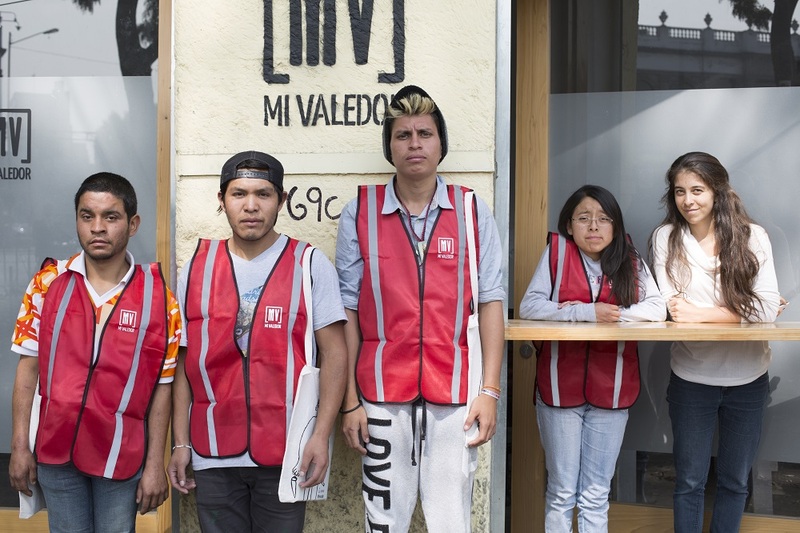 After the soccer tournament and the volunteer work, María and her team started working at a shelter that runs workshops. Little by little they recruited people who were interested in selling Mi Valedor. There they met Salomón, who was looking for a job. In addition to the money, having a new project would give him the motivation to keep going. 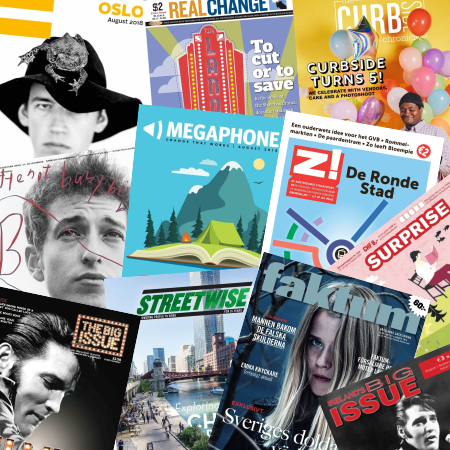 The magazine launched in spring 2015 thanks to donations from the public, and support from INSP. Maria hopes the street paper will eventually be self-supporting through advertising. 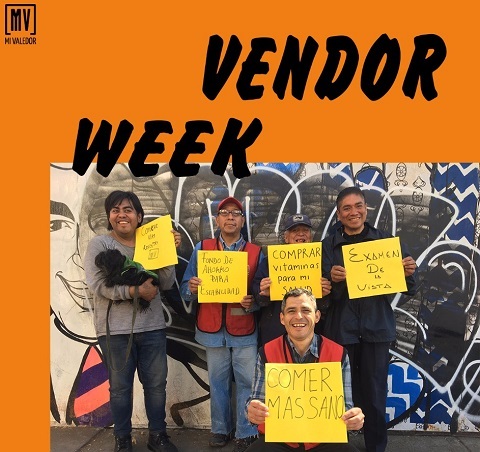 Mi Valedor currently works with a team of 15 permanent vendors who collect their copies on a Monday at the street paper’s offices. They buy them for five pesos in order to sell them for 20; each one takes as many as he is able to sell. Óscar takes between 200 and 300; Salomón takes two. Óscar Navarrete is their star seller. He studied to be a teacher, but started to take drugs and get in trouble: “Then I dedicated myself to touring the jails of the Federal District until I got tired.” When he was released he created a persona as someone who has a lot of money; he liked to wear a suit and stay in hotels. In the shelters he discovered that since he had a roof and a meal guaranteed, he could use the little money he had for alcohol and marijuana. Now everything has changed for him. He plans to save money to open his own shelter. 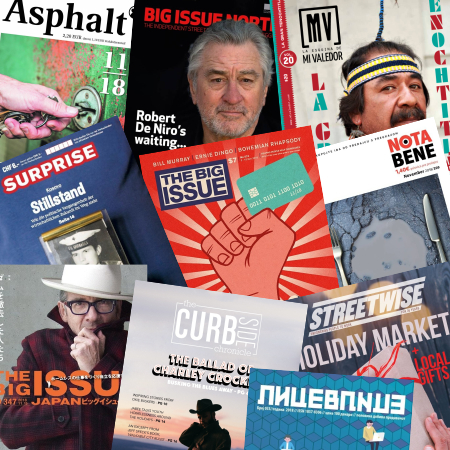 Gil Israel heard about the magazine at the shelter and plans to challenge Óscar for his sales record, since a previous job involved selling other publications. He is from Veracruz, one of the states from which the highest number of people leave due to poverty in the country. For several months he lived in a storm drain in the street. He has 11 brothers and sisters, and a three-month-old baby in Puebla, who he doesn’t see. He could ask his family for help, but “out of pride” he prefers to live in the shelter until he can get enough money together to start a business. He is a frequent visitor to the internet cafes where he connects to Facebook. 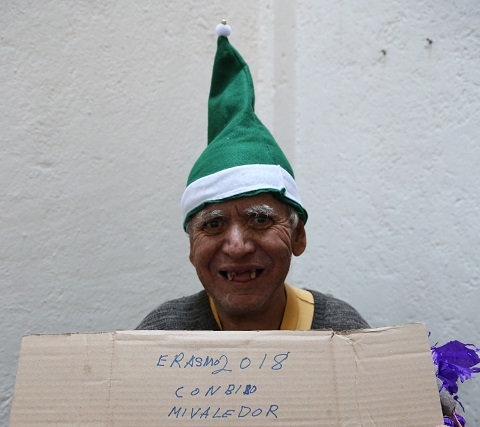 Having found success at Mi Valedor, Gil convinced his friends in the shelter to become vendors. Carlos Ángel wears a St. Judas amulet with a faded yellow halo. He is from Tabasco, where his three-year-old daughter lives. He worked in a five-star restaurant, but has not been able to find work in two months. Alfredo García is from the State of Mexico. He wears his belt cinched tight as if it could hold in his anxiety. Ten years ago he stopped using glue and solvents. When Isaías had his cows stolen in Oaxaca after his divorce, he decided to move to the Federal District, and now he works selling Mi Valedor. I found him leaning on a cane while he talked with a woman and showed her all of the business cards he had in his wallet. He had no money but lots of contacts. All three were given training in how to sell on the street, a bag with magazines and a red vest to identify them as vendors. I met Salomón again in the magazine’s office. He carried the same family-size bottle of shampoo and his journal in his backpack. But today he was especially radiant. His gap-toothed smile and bright eyes shone on his face and on the rectangle he wore on his chest: his ID. They had finally given him his permit, his confirmation of being human. Now he can sell Mi Valedor without any trouble from the police. He called himself a “valedor” (defender), and he would fight to keep this name. According to the dictionary, it is a person who matters. For him, it is to be a friend. 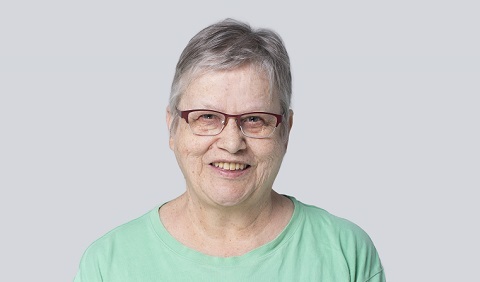 Marlies Dietiker worked as a Surprise vendor for over ten years from her pitch at Olten station, a railway hub that links Switzerland’s major cities. She sadly hasn’t been able to return to work after undergoing two major surgeries in the last three years. Although no longer working as a Surprise vendor, Marlies has many fond memories of her work as a vendor. Here, she explains why working for Surprise was the perfect thing for her. Roger Meier’s vision of Bern, Switzerland, is different to that of a Federal Council member or that of Japanese tourists visiting the city. It is also profoundly different from the perspective of an average Bernese. 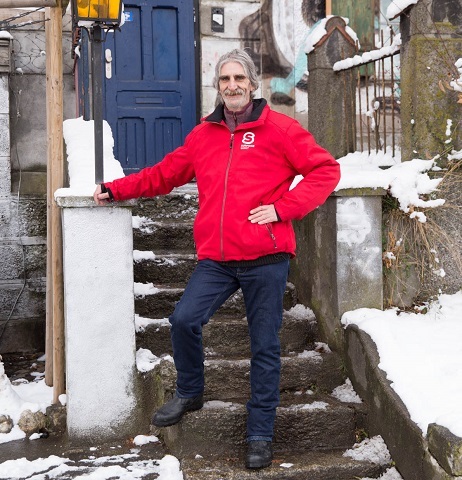 In his work as a Surprise tour guide in Bern, Roger Meier is sharing his experiences of living on the streets for 20 years. 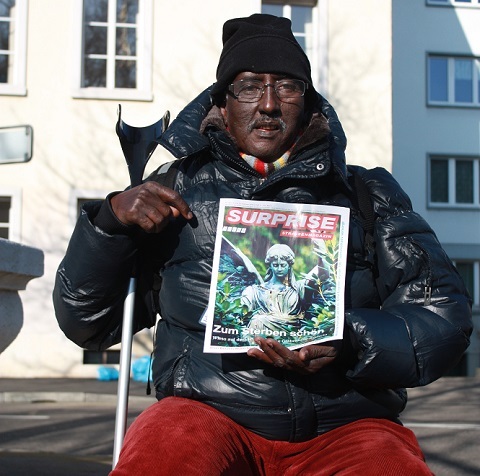 Surprise vendor Ali Nur Mohammed was badly injured in an attack carried out by Al-Shabaab terrorists in Somalia. He lost his right leg in the attack and the prosthetic limb that he has worn ever since causes him chronic pain. After reading about him in an issue of Surprise, Ronnie Schenkein set up a fund for Mohammed. This is what happened when the two met for the first time.